This summer is so busy! 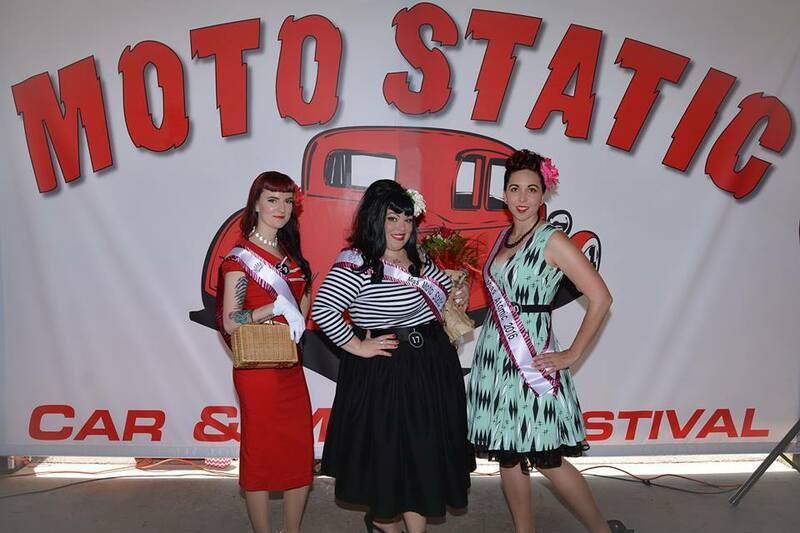 I'm glad I had time to catch up with Miss Bombshell and Miss Atomic from the Motostatic contest. 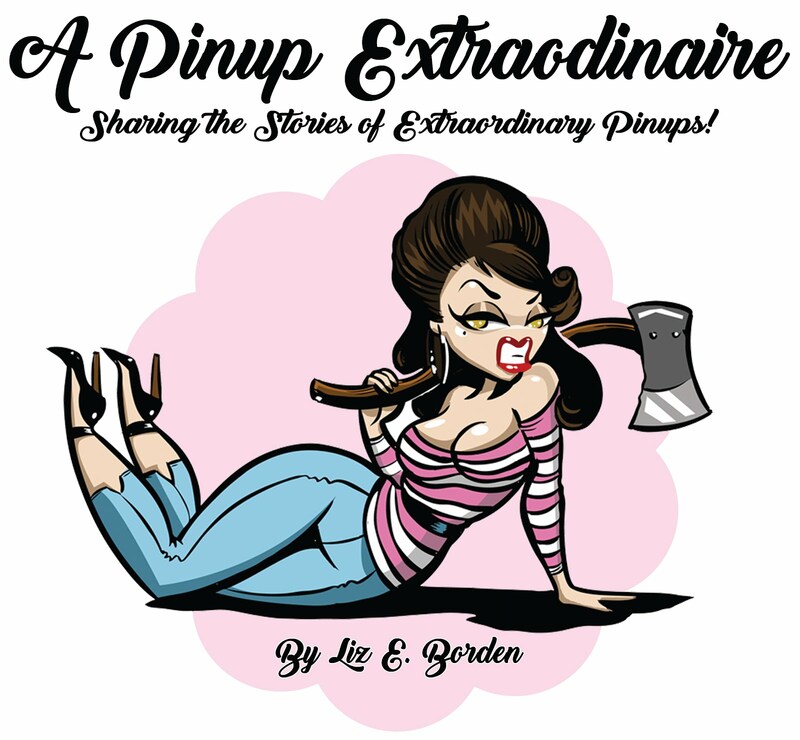 Check out their bios and interviews to learn more about these extraordinary pinups! My name is actually just my real first and middle name, Kayla Marie, and the Valentine came from me being born on Valentines Day! 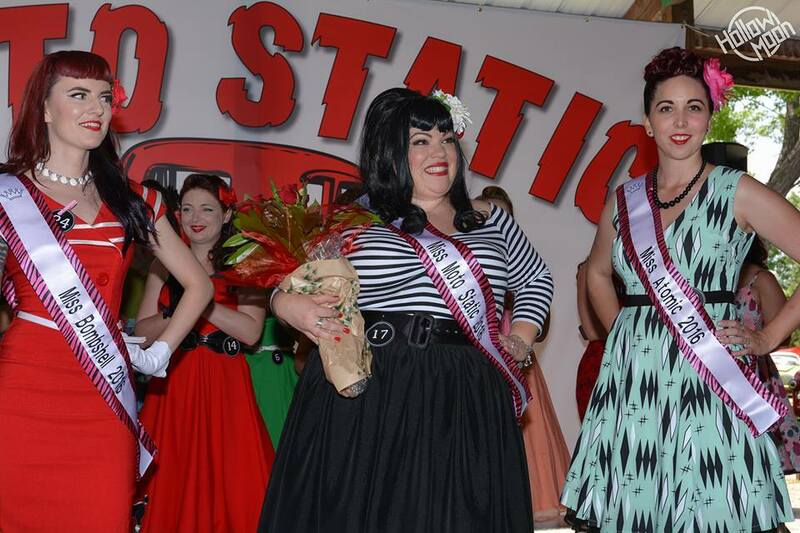 I started modeling and doing pinup contests last year and have been a part of them ever since and I absolutely love it! I don't have a fan page yet, just my Kayla Marie page. 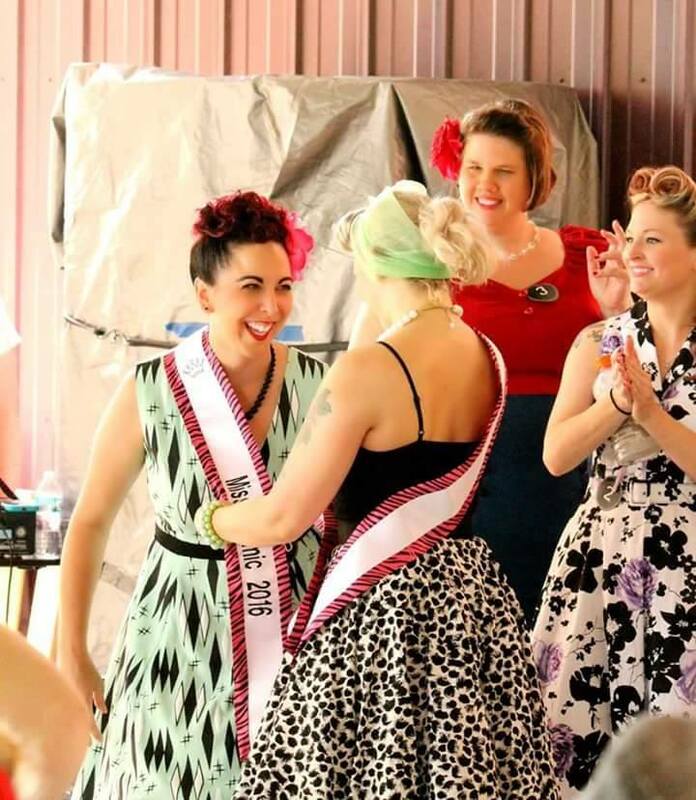 Q: Is this your first pinup contest? If not, what sets this contest apart from others? A: No, this is not my first pinup contest, and what sets this contest apart from others is that in may be a small venue and area but it was still an absolute blast! Set in a small town by the name of Pardeeville, woo hoo! It was a quaint, but beautiful location. The cars that came to this event were among some of the best and most unique I have seen yet! The music was spectacular and i could have sat there all day listening to the tunes, enjoying their hotdogs, watching the gorgeous cars roll by and spending time with all the wonderful people that showed up. It had that small town feel to it and yet it was still one of the best shows. Q: What was your favorite part of the contest, if there was a portion you preferred? A: I wouldn't say I had a particular part of the contest that was my favorite. It was all great. My name is Jessica, but my pin up stage name is Jezabelle Ayr! I wanted a name that felt like me. I'm a bit of a Daddy's girl and that's how I came up with the name in some sorts. My dad has a '57 Chevy so I decided on a first name Jezabelle cuz it starts with a J. Then went with Ayr to play off of a Belair but I spelled it Ayr instead of Air to be different. I haven't been doing pin up too long. 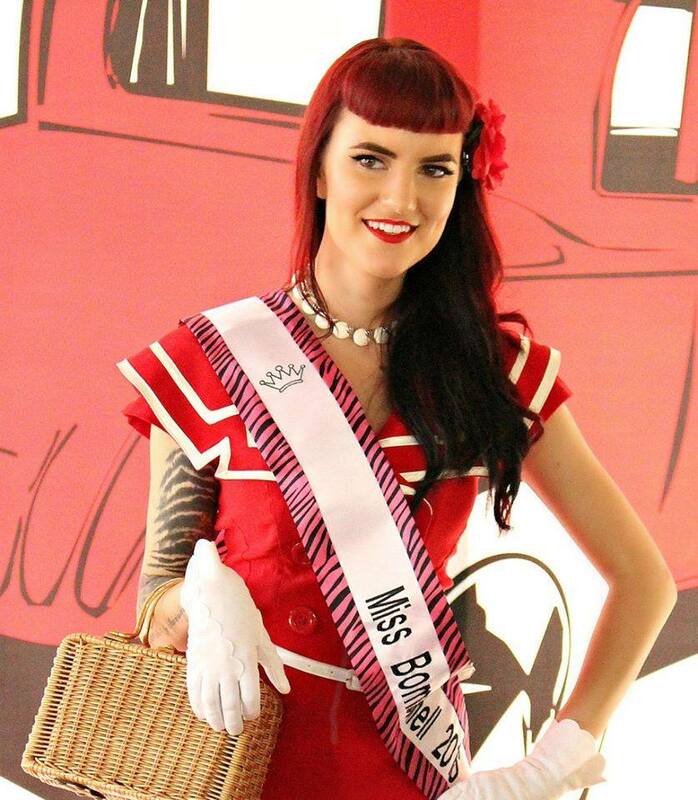 I got into pin up in June 2014. My Dad and some of his friends, one of which is a fellow pin up had been going to the Back to the 50's car show in MN for a couple years. Well in 2014 my fiance (husband now) went up to the show and I dressed up and did my hair for it and that's when it all began. My first contest was a really tiny local one that year in July 2014 at The Drifters car show. After that I consider my first truly real contest Mississippi Mayhem in Sept 2014!! I've only done I believe 6 pin up contests total thus far and haven't done any modeling other than my husband Taylor Trimble and Paul Zeien taking my picture, haha, and a few other random lil shoots at car shows. Q: Is this your first pinup contest? If not, what sets this contest apart from other contests? A: Motostatic wasn't my first contest, but it was the first time I've placed at all!! Motostatic is a lovely contest. It was a small and easy going contest which I love. Plus, I knew a bunch of girls already which also helps! A: I honestly prefer the posing part of contests because it's the easiest part and during question rounds I get asked my question and I present my answer and of course afterwards I think to myself...darn I should have said this or this haha. I would also like to add that everyone in the contest was super nice, I of course knew some of the girls but the ones I didn't were very easy going and nice! Another thing... Carmen is a great host/hostess/MC!!! It is agreed that Carmen is a great hostess! I loved judging last year and would have attended this year if it hadn't been for a scheduling conflict. Maybe next year I'll be a contestant!